In this episode of This Old Marketing, Robert and I interpret two recent developments at Google: The expansion of ads above organic search results from three to four, and the debut of Accelerated Mobile Pages (AMP). Next, we take issue with an article that intermingles terms like sponsored content and branded content, portrays several brands in a negative light, and overlooks successful content brands like CMO.com and Amex Open Forum. On a more positive note, we’re thrilled to discuss a U.K. publisher that has expanded into the business of selling cars. Finally, what’s old is new again, as NBCUniversal experiments with sponsored content on Leap Day. Rants and raves include the future of marketing technology investment, an amusing IBM video about disaffected robots (featuring Carrie Fisher! ), and a fascinating book about the pervasiveness of algorithms. This week’s This Old Marketing’s example: Burroughs Corporation. Google AMP and search updates (5:32): Google has added a fourth PPC ad above its organic search results, according to Search Engine Watch. This is the latest development since the search engine giant eliminated all PPC ads from the right side of the search results page. This move pushes organic search results farther down the page, making it harder for brands to rank on the first page. Google has also launched Accelerated Mobile Pages (AMP). Publishers can use this open-source code to speed up page-load times on the mobile web. We predict Google will favor AMP-encoded articles by ranking them higher in search results. Branding in the age of social media (12:11): This article from Harvard Business Review explores the challenges brands face in trying to be relevant to “amplified subcultures” – what we would call niche audiences – and how cultural relevance can solve this problem. Robert and I are disappointed that the author throws around terms like sponsored content, sponsorships, and branded content interchangeably. He also portrays several brands in a negative light, while totally overlooking successful content brands like CMO.com (Adobe), BabyCenter (Johnson & Johnson) and Open Forum (American Express). Dennis Publishing is now selling cars (27:34): Dennis Publishing, home to a portfolio of tech brands and auto magazines, is moving beyond the typical affiliate link e-commerce offering many publishers tout. It’s selling a lot of cars, according to Digiday. That’s because last year it bought e-commerce business Buyacar.co.uk. Robert and I agree this is a perfect example of a media business creatively diversifying its marketing and revenue streams. I predict a further blurring of the lines between media and non-media companies. TV networks recast the role of commercials (32:46): Four NBC shows featured extra programming as part of a sponsorship deal between NBCUniversal and American Express on February 29th. According to The New York Times, they were an opportunity for the TV network to experiment with reinventing the advertising experience. 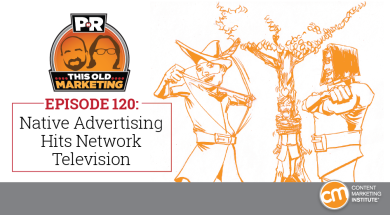 Robert and I agree that sponsored shows are as old as television itself. Robert points out that direct sponsorships like this should be significantly less expensive than conventional ads because they bypass agencies and media buyers. Plus, the content is created for the sponsor as part of the show. Robert’s raves: Robert likes this perspective from TechCrunch on the state of the marketing technology space, which will face a wave of consolidation as customers choose the winners, and venture capitalists cut off funding to those that are struggling. 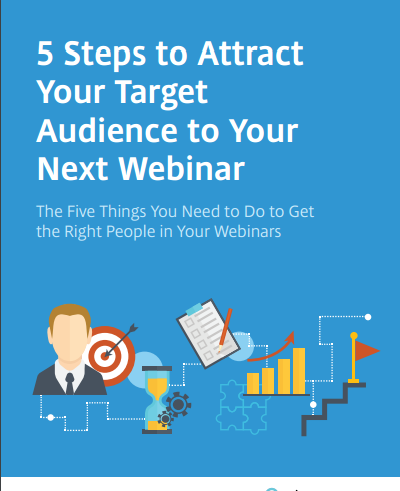 He wishes, however, that a martech solution would emerge that would focus on audience development, not just lead generation. Robert also gives a shout-out to a wonderful piece of branded content from IBM. This video imagines Carrie Fisher as the facilitator of a support group for robots that don’t feel valued any more now that its powerful Watson supercomputer has come along. It’s very entertaining! Joe’s rave: My rave is about a book by Christopher Steiner called Automate This: How Algorithms Came to Rule the World. In it, the author describes all of the industries where machine automation is taking over, including programmatic trading and automated health diagnoses. If you want to know where marketing automation could be headed, this book is a must-read. For the short version, check out this 12-minute TEDx presentation. Burroughs Corporation: In 1886, the American Arithmometer Company was founded in St. Louis to sell the adding machines invented by William Burroughs. By the early 1900s, it was renamed the Burroughs Corporation, and had built a thriving business selling adding machines to banks to increase the efficiency of the then-new practice of accounting. 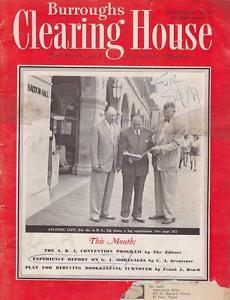 In 1916, the company launched a magazine called the Burroughs Clearing House. It covered all types of banks, plus banking operations and activities. Its editorial content was eventually expanded to include coverage of the domestic and international economy. Within 10 years, Burroughs Clearing House reached a circulation of 50,000; it was published until sometime in the early 1970s. In 1986, Burroughs merged with Sperry Univac to form UNISYS. In 2010, it sold this business to a group of investors, who renamed it Burroughs Payment Systems; this company is still in business today. Considering its life span of over 50 years, Burroughs Clearing House is an outstanding example of #ThisOldMarketing.